Scottish farmers have missed out on the so-called “convergence” payments – EU funds intended to equalise income – which has left Scottish farmers with the lowest average rate per hectare within the EU. 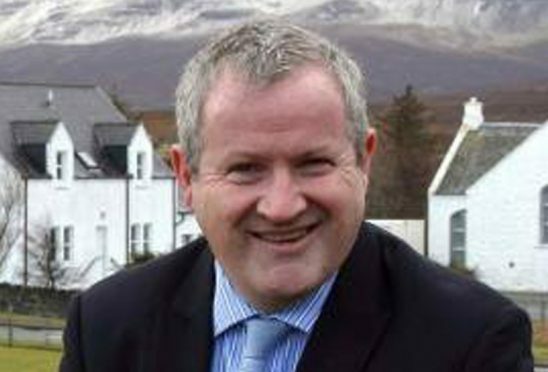 Mr Blackford has written to the Scottish Conservatives seeking a meeting and asking them to put pressure on the UK Government to look again at the “deeply unjust” funding settlement. He said: “While we welcome their Damascene conversion to our cause, this has been something the SNP have consistently called for since 2013 and we regret that the UK Government has failed – despite promises to the Scottish Government by Andrea Leadsom and Michael Gove – to deal with convergence. “The current situation is simply untenable – with the UK government depriving Scottish farmers of what they are rightfully due. To leave them with anything less than every penny they are due would be totally unacceptable. “If any review is to take place, there must be joint agreement between all sides of the remit of the review and person or persons to be appointed to conduct it. However, the Scottish Conservative group was unimpressed by the offer, dismissing it as grandstanding, and expressing no interest in partnership. A party spokesman responded: “The new Scottish Conservative group of MPs at Westminster has already made it clear to the Cabinet Secretary there should be a review of the convergence uplift in order to assess how we can ensure Scottish farmers receive a fair settlement. “The SNP have simply been grandstanding on this issue, while we are actively working to find a solution. A spokeswoman for Defra confirmed the issue was under consideration. She said: “CAP allocations have been set up until 2020.